“We don’t want better haircare!” said no black person ever. Yet those of us with 4c-textured hair continue to be ignored by most major haircare manufacturers. 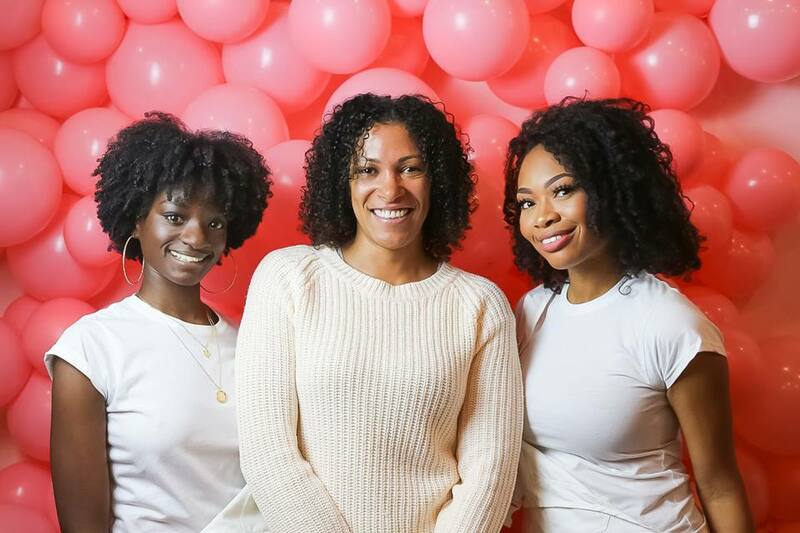 When TreasureTress launched in 2015, it was the outcome of a nonstop mission to reach every curl with a hair subscription box service. Since then, it has been reviewed in Harper’s Bazaar, Black Beauty & Hair Magazine and Good Housekeeping. Owner Jamelia Donaldson took her PR expertise and travelled the world – hitting the Middle East, America and Asia – to create tectonic waves in the beauty industry. She did this by age 23. Subscription boxes as an idea are not new. They can be put to any market – from dog treats to skincare – so it has to be something really special to really stand out. TressureTress considers all ages, with specific boxes for specific age groups containing products from brands including Sunny Isle, ORS, Crème of Nature, and Miele Organics. £20 gets you four to five products, including shampoos, conditioners and styling products. So far TreasureTress has shipped to 29 countries with more countries in the pipeline. When I went along to their two-day pop-up shop in November in Peckham, South East London, I did not expect it to be so beautiful. Imagine a mass of different skin shades and curl types celebrating deep conditioning masks and co-washes. I looked around nervously as each person seemed to know more than me. But there was no competitiveness. It was relieved women who want better hair care. TreasureTress staff kept busy lugging boxes, restocking shelves, hugging friends, processing payments and directing women to the WAH! Nail Bar. Christelle Ugbaja, the TreasureTress community manager, smiling cheekily, tells me that the next pop-up event is already being planned. “The response has been phenomenal in three years because our community understands our mission! We’re growing internationally and ship boxes to over 29 countries,” she explains. The brand’s motto is “no longer exchanging our hard-earned cash for mediocre experiences”, and amen. According to the Institute of Practitioners in Advertising, black women spend roughly £4.8 billion on products worldwide. Imagine if we could all get the money back we’ve spent on the wrong products. It’s this wasted money that – once we’ve spent enough time lamenting – we want to reclaim. How do you reclaim lost money? You make sure it’s not wasted again. When I ask the future plan for TreasureTress, the ideas extend beyond the UK. 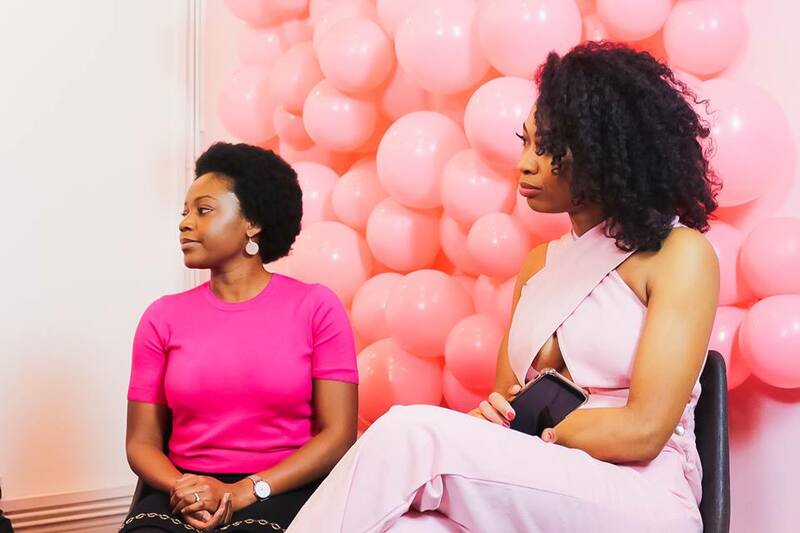 “Our plan is European expansion of our subscriber base to include more black and mixed-race women across the region, together forging a wider identity coupled with accurate, relatable content and campaigns to truly demonstrate what it means to be a black woman, in all shades, textures, tones and kinks and quirks!” says Jamelia without hesitation. Passion is needed for a brand to grow, but there also needs to be a genuine love for all shades, curl types and customers. That love was evident at the pop-up. Every person who walked in was given care and attention to the point where the shop came to resemble a slow-moving traffic jam as people are vying for products. Of course, the women behind the brand know what works for them. Christelle’s large ‘fro (which resembles a bouquet of roses) is thanks to religiously deep conditioning on a weekly basis coupled with leave-ins and TreasureTress boxes. Jamelia’s hair ritual is perfect for busy women, with deep conditions, buns and braid outs. Black women in business are moving mountains and TreasureTress is a strong part of this, right here in the U.K. When I ask the women to describe TreasureTress, they don’t need to think: fun, welcoming, innovating, community, convenient, affordable, informative and culture. And they’re right. Hair is culture. Every braid. Every curl is culture. Click here to subscribe to TreasureTress and begin the journey to better curls.